You want to move on, but you can’t stop thinking about him or her. What now? Here are seven steps to get over a crush. 1. Take the good stuff and run. 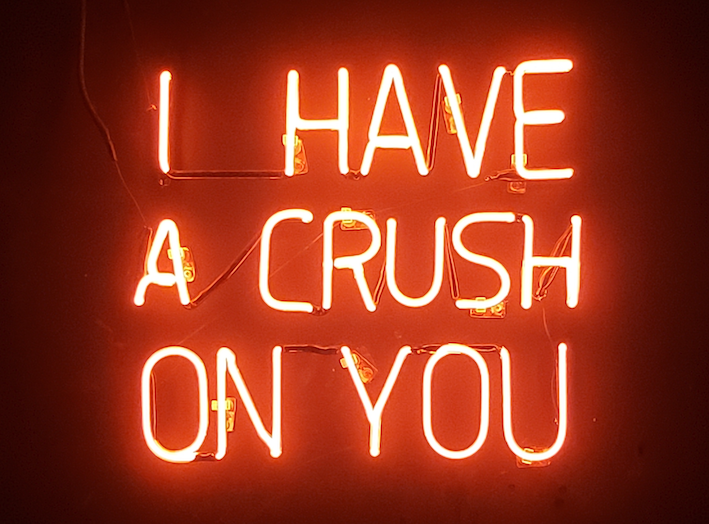 Here’s the thing about crushes - half the reason we think we are 'in love' is that we secretly want to be like them. We want their qualities and talents. Often these are things we already have within and don't realise, or could easily learn or develop. What three things about your crush did you find most amazing? Their courage, their style, their humour? Do you have those qualities already, and if not, what actions could you take to develop them? The problem with panicking about getting over a crush is that, well….this is still a from of thinking about them! Endlessly asking your friends for ‘advice’ about how to get over him or her can be your tricky way of not letting go at all, while gaining the approval of the friends who you know want you to. Stop talking about him or her. Now. Ask your friends to help you. Come up with a word you can all shout out should someone forget and need a reminder to change subject. 3. Make the decision real. Talking and thinking about how to get over a crush is not actually making the decision to do so. So now is the time to let yourself know you are serious. Get out paper, write a declaration that you now commit to getting over the other person. Sign and date it. Then take three actions that show you are serious. Delete their number, throw out their sweater, book a session with a therapist to get help with your low self-esteem. Space works when we are getting over a crush, so take a time out. Yes, in some cases there is no way around run-ins. You work together, or are in class together. But work to drop as much contact as possible. Do you really need to still talk to his friends, or go to the cafe you know she always frequents? Be honest with yourself and strict about it. Don’t see it as being dramatic or rude, see it good self care. 5. Move your focus in a big way. It’s not actually the heart which is the problem when we’ve been let down by another, it’s the head. Our thoughts can refuse to let go, and can be full of self-criticism and negativity. You need a massive focus shift. Is there a big goal you’ve been putting off, or that the crush distracted you from? Pull it out and dust it off. Make a detailed plan of every step between you and that goal, get support from friends, find other people with similar goals, and get going. The bonus? You’ll be repairing your shattered confidence as you go. 6. Do a wellbeing check in. A crush can monopolise our energy. When it’s over, we find we’ve let our self-care drop. Making a big push on the wellbeing front is not only a good distraction, it works to elevate our moods. Make a list of ten things you love doing. When did you last actually do any of these things? Pick one and schedule it in your diary right now and make it as non negotiable as a doctor’s appointment. Isn't mental health as important as physical health? 7. Crush out on yourself. Self love is a big ask, especially after you've been rejected or let down. But imagine it wasn't you going through this but your best friend. How would the things you say and do for him or her be different to the way you are treating yourself right now? Write a letter to your best friend about what you love about him or her, and about how you are there for them in hard times. Then change the name at the top to your own and read it out loud. If you really can’t get over your crush, or if you tend to always have this problem of being obsessed with someone who doesn’t like you back? It might be time to seek some proper support. A counsellor or psychotherapist can help you look at what beliefs about yourself and love attract these situations. They can support you in trying new ways of seeing and thinking that finally lead to the love you long for. Ready to stop crushing out on the wrong person and start feeling more confident? Book a session with a therapist today and talk your way forward.